I don’t think enough people are made aware of a VERY important point when they first look at vaping to quit smoking … There are TWO very different ‘types’ or styles of vaping. One of them is mouth-to-lung vaping, or MTL/M2L. The other is sub-ohm vaping, also known as DTL/D2L or direct-to-lung. The two types of vaping [usually] require different eliquid, a different coil, and/or a different device entirely. There are some devices that offer both MTL and DTL vaping, using the same eliquid/coil/etc., such as the Aspire Gusto Mini and the Aspire PockeX. Mouth-to-lung vaping is the type of vaping that is most like a cigarette. You vape in a two-step process, first inhaling into the mouth, and then into the lungs. That’s what gives it the name — mouth-to-lung. Mouth-to-lung vaping was the first ‘type’ of vaping to come about, with those early cigalike devices. Sub-ohm vaping, big clouds and vape tricks came a bit later on. I’m going to keep things as simple as possible. If you want a vaping experience that closely mimics smoking real cigarettes, mouth-to-lung – MTL is the way forward. >> You sub-ohm (DTL) vape the same way you would use a shisha or hookah device — right down and into the lungs — a one-step process. It’s not the same style as smoking at all, and I personally found that it didn’t hit the spot as far as quitting a 20-a-day habit was concerned. This vape pen can be switched from MTL to DTL with the change of a coil and handles both with ease. Durable, inexpensive, and easy to use, I’d highly recommend it to beginners. I also would recommend it to an MTL vaper who would like to make the switch to sub-ohm but aren’t sure on it. If you don’t like it, just throw an MTL coil back in and you never need to worry about those big clouds again. I really love the third generation of this all-in-one vape pen style, although it’s not really that pen-like. Unlike the Jac Vapour Series-S17, you can’t refill the pods with the ePen 3, instead buying prefilled cartridges. You can’t sub-ohm vape with this one, either. I do like it as an MTL vape, using it a lot more than I thought I would. 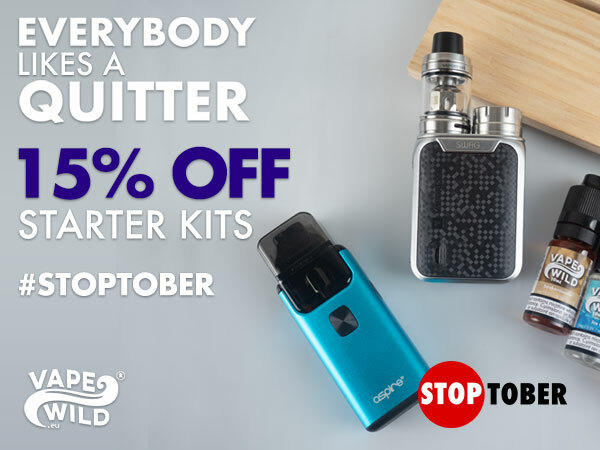 I’d highly recommend this one for someone who wants a no-muss, no-fuss approach to vaping. No refilling and changing of coils mean less sticky mess! This is another cheap but very decent all-in-one device, and it has more of a compact, pod-shape and size to it. This one is great for a heavy smoker or someone who wants a big nicotine hit, and combines the forces of Aspire and Element Eliquids together with nicotine salts, in Element’s NS10 and NS20 designer nic salts range. New brands/flavours are being added to the range of prefilled pods, too. You’re not meant to refill the pods once they’re empty, but you can. It’s a damn messy process, though, and the pods are both relatively inexpensive and long-lasting compared to other devices. MTL eliquid is thinner than sub-ohm eliquid. This is because the VG content is lower and that’s the ingredient that makes eliquid thicker and more gloopy. Most mouth-to-lung eliquids are 50/50 PG/VG or 60/40 PG/VG. If one number is higher, it’s the PG number. VG is what adds the clouds and flavour to the mix, with PG bringing the throat hit and realistic smoking effect. If you want a cigarette-like experience, the higher PG type is the one that you’ll likely find more satisfying. If you’re a heavy smoker, looking for a hearty throat hit and high nicotine content, I’d take a look at eliquid with nicotine salts. 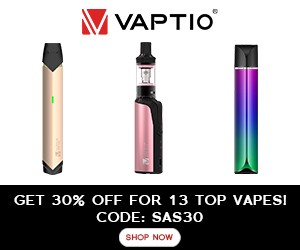 Vype has just brought out a range of nic salts prefilled pods for the Vype ePen 3, and Jac Vapour has a hearty nic salt-based eliquid, called SMOKING. If you want to check out a few of my mouth-to-lung eliquid reviews, you’ll find them here. You’ll also find all of the tobacco-based eliquid reviews here. Let’s just pretend for a moment that you bought yourself Jac Vapour’s VIM to start vaping. (It’s a brilliant quit-smoking device and I’d highly recommend it.) You can get different coils for the device, some of which are meant to be used the MTL way, with MTL eliquid; others designed to be used the DTL way, with DTL eliquid. Coils that have a lower number on them are *usually* designed for sub-ohm vaping. Coils that have a higher number on them are *usually* designed for mouth-to-lung vaping. Jac Vapour offers both MTL and DTL S-Coils for the VIM, Series-S17, and Series-22. The MTL coils are 1.0-ohm and 1.5-ohm — higher numbers. The DTL (sub-ohm) ones start at 0.5-ohm — a lower number. My favourite coil for the Aspire Cleito EXO tank — a sub-ohm tank — is 0.4-ohm. (Low number.) You can also get 0.16-ohm and 0.2-ohm coils, too. These are, once again, lower numbers. Taking things back to mouth-to-lung vaping, the Nautilus AIO Pod Kit uses a 1.8-ohm coil and on ecigarettedirect, it states: “The coil is rated at 1.8 ohms, meaning it’s designed for a mouth to lung experience.” Again, note that the ohm-number is higher. The short version of the story is this: the higher the number on the coil (usually 1.0-ohm and upwards), the more it is designed for mouth-to-lung vaping. Jac Vapour’s *new* Turbo S-Coils are designed with serious flavour, but still for use with MTL eliquid, devices and vape-style, and are 0.42-ohm and 0.7-ohm. They’re LOWER numbers, so look like they should be used for sub-ohm vaping. They’re not; they’re still for mouth-to-lung vaping. Some coils (including Jac Vapour’s) have ‘DTL’ or ‘MTL’ on them somewhere, making it easier to work out which you should use. The website description will also usually tell you. I talk about these coils more in Jac Vapour Turbo S-Coils: Worth the Hype? I know, I know. Vaping CAN be complicated. You just gotta learn to walk before you can run, that’s all. If you’re confused, ask. You can ask me. Or ask the #vapefam on Twitter. Ask your local Facebook vape group. Just ask. You’ll need lower watts on your device for mouth-to-lung coil/vaping than you’ll need for sub-ohm vaping. If you take a peek through the paperwork that comes with your tank/coil, you’ll usually find that it tells you somewhere what the recommended watts are for it. If you go outside of that recommended wattage for that tank and/or coil, it’ll misbehave on a level that you will not appreciate. Jac Vapour’s MTL S-Coils are 1.0-ohm and 1.5-ohm, which are recommended to be vaped at 12-18W. If you take a peek at the 0.5-ohm sub-ohm S-Coil, you’ll see that it says the recommended watts are higher — 20-30W. The Aspire Cleito EXO 0.16-ohm sub-ohm coil has a recommended wattage range of 60-100W … Considerably higher. Mouth-to-lung vaping = lower watts than sub-ohm vaping. And there you have them — my basic rules for mouth-to-lung vaping. Life does get a lot more complicated than this, especially when you start dipping your toes into the world of box mods and sub-ohming and all that jazz. I talked about this blog post to my friend @anImaginaryEcho and she told me she mouth-to-lung vaped at 55 watts “on an iStick Pico with a crown set”. That’s absolutely not what I would recommend. Everyone is different. Just think about what you want from your vape, and what you want it to do. If you want to get a realistic smoking-like experience from it, you’ll need to grab yourself a mouth-to-lung’er. Play around with sub-ohm stuff later on, but master the basics first. I’m really hopin’ that these mouth-to-lung ‘rules’ (albeit very basic) help you to understand vaping enough to find a device that you can rely on. A little disclaimer: This is not a DEFINITIVE guide. It’s *MY* guide. *MY* strategy. How *I* successfully quit smoking twice. If you have any questions or would like to ask for some vaping advice, please feel free to get in touch. I would love to help you out, especially if it means you finding the perfect vape to finally quit smoking for good. Don’t forget to come back if I *DID* help … I can’t wait to hear your success story. Thank you so much for taking the time to read my blog today. HONESTY POLICY: Some of the devices in this blog post were sent to me for reviews. These include Jac Vapour devices (sent by Jac Vapour), the Aspire Gusto Mini (sent by Vape Club), and the Vype ePen 3 (sent by Vype). Other vapes mentioned are recommendations based on my own research of products and reviews. I’d never recommend something to you that I wouldn’t consider buying for myself. I did not pay for the vape products sent to me for review. I was not paid for my reviews. All opinions are mine and in no way influenced by affiliate status, store, brand, or manufacture. Next: Jac Vapour Turbo S-Coils: Worth the Hype? Really good and important advice for those getting off the ‘hard stuff’. MTL devices have come on a way from the cig-a-likes I started vaping with. They now give vapour equivalent to the ‘smoke cloud/fug’ of a real cigarette. With their high PG content they’re not sweet and thus come damn close to replicating the cigarette experience. Plus they vape in the same way you smoke. They should be flagged up as the starting point for smokers who want to change to a cleaner, healthier and more pleasant habit.